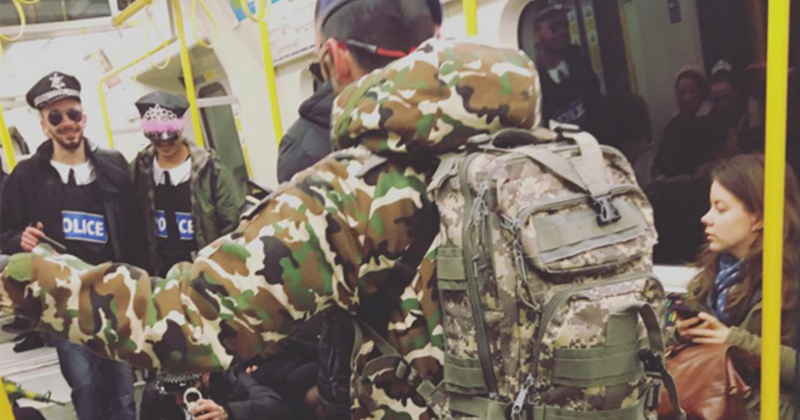 In one of the most insensitive tube pranks of all time, three men went on the underground dressed as a suicide bomber and policemen. One man was wearing all camo with a large backpack and fake bomb strapped to his chest. 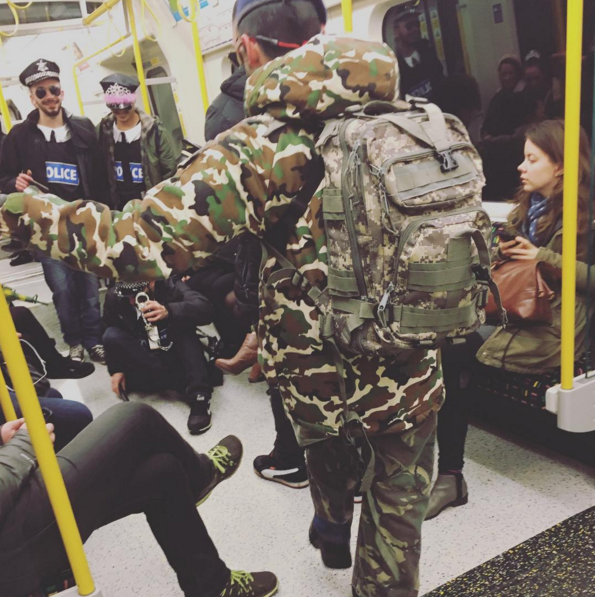 The group of men with him were dressed in identical police outfits with fake guns last night on the District Line. The photo was taken by 29-year-old designer Alec Wilson who spotted them at Fulham Broadway. He told The Tab: “My original reaction was to be scared for a second as he’d run past me. Immediately I thought to tackle him to the ground, because of what he had on his chest but then realised that it was a sick joke because of the people he was embracing. They played games with their fake guns and made physical jokes about suicide bombing, then played around with fake weapons ‘arresting people’.